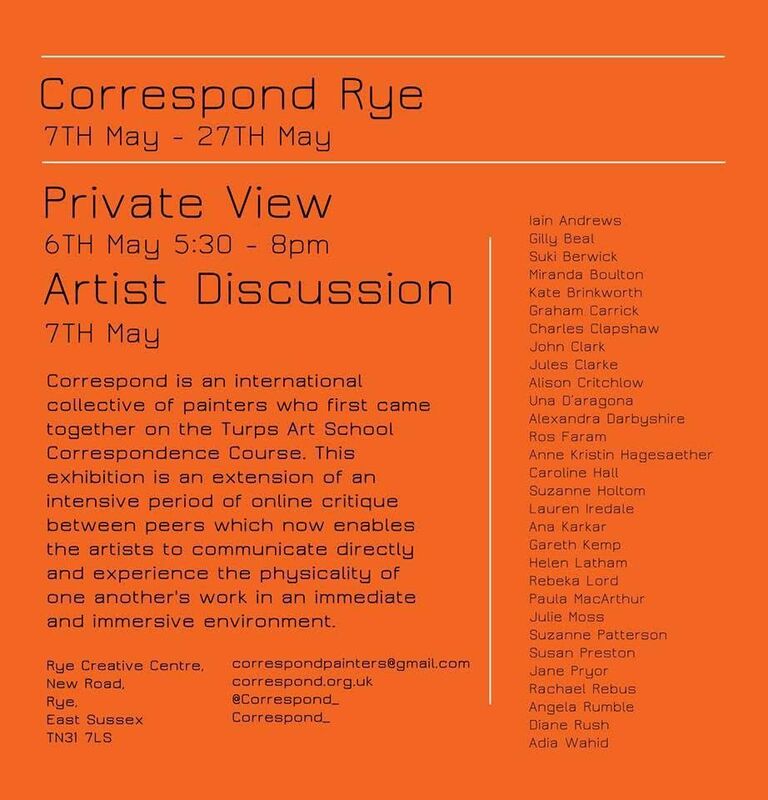 Correspond is an international collective of painters who first came together as a result of Turps Art School Correspondence (London UK). 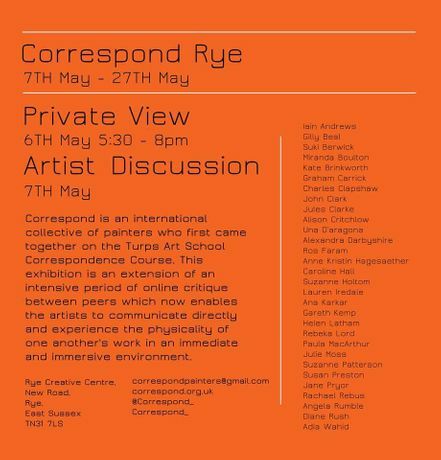 This exhibition is an extension of an intensive period of online critique between peers of Turps Painting School, and painters who are Correspondence participants, which now enables the artists to communicate directly and experience the physicality of one another’s work, in an immediate and immersive environment. This show enables the artists to experience one another’s work in an immediate and immersive environment.